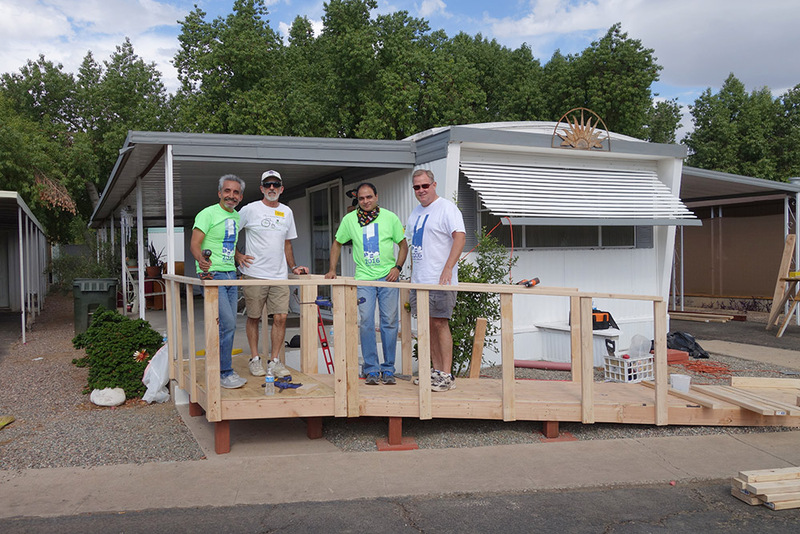 Organizations can invest in larger projects such as a wheelchair ramp build or a Home Revitalization Sponsorship. If your organization would like to provide funding for a project like this, click here. Help your employees maximize their donations by providing a corporate matching contribution. Contact Gina Irons at 480-774-0237 to start your corporate matching program today. Would you or your organization like to become a partner, or sponsor a project for our annual National Rebuilding Day, Paint it Forward, or Project: Give Back? Contact us via email info@rtvos.org. 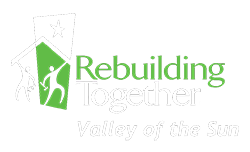 Your organization is invited to partner with Rebuilding Together Valley of the Sun to tackle critical housing issues in our community through a mutually beneficial cause-related marketing campaign. Interested in starting a cause-related program? Contact Gina Irons at 480-774-0237 or email gina@rtvos.org. Your in-kind donations of goods and services enable Rebuilding Together Valley of the Sun to help more people. We welcome partnerships with companies and organizations that provide: HVAC, roofing, electrical, plumbing, masonry, carpentry, dry-walling, landscaping and tile work. Your support, no matter how big or small, can help make a huge impact in our communities. Get involved today and you can change people’s lives for the better. There are so many ways you can help. Make a tax-deductible donation that could change a senior’s life or provide a veteran with a healthy place to live. 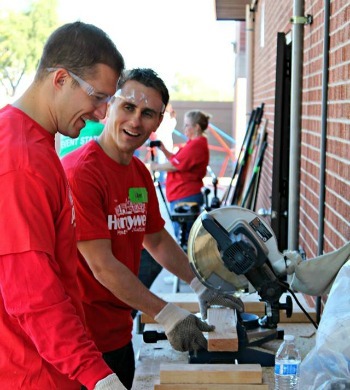 Add your skills to our volunteer force and build a ramp, paint a home, or transform an entire community. Share some of our stories, blogs and posts via your social media channels or get your local community group involved. Feel the mutual benefits by becoming a corporate partner. Or, leave a gift in your will. Whatever you decide to do, you could transform the future for vulnerable people living in some of the worst conditions you can imagine. We need you! You can find out more by looking through the various ways to help. Of course, if you have any questions or would like information, we’d be happy to talk. Just email: gina@rtvos.org or call 480-774-0237.